The Book Life: "Tempest" by Julie Cross + Audiobook Giveaway!! I've always been fascinated by time travel, but I haven't really read many books focusing on it, especially in YA. I was really excited when I first heard about Tempest, because the story sounded so cool and it didn't disappoint. We start the story with normal guy Jackson Meyer, who is really anything but normal. He's able to travel small distances into the past and with the help of his friend Adam, they keep doing experiments to try and figure out how this time travel is possible and what exactly it affects. Unfortunately, all of the time they spend experimenting is causing problems with Jackson's girlfriend Holly. He can't tell her what they are really doing and she's getting tired of the excuses. One night while trying to make things right with her, strange people show up in her dorm room and during the scuffle Holly gets killed. Just after Holly is shot Adam finds himself transported back to 2007, with no clue how he was able to travel that far and no way to get back to Holly and 2009. While in 2007 and with the help of Adam, who has been convinced that Jackson really is from the future, they start gathering as much information as they can about Jackson, his very mysterious dad and what Jackson's ability really means for everyone. The strangers from Holly's dorm in 2009 track Jackson down in 2007 and things get even more complicated. This book had so many twists and was constantly giving you new pieces to add to the ever expanding puzzle. We get plenty of information about the time traveling and about the two sides warring over it, but we also get plenty more questions about whats going on and what the true motives are. And that ending was so crazy! We get some major stuff thrown at us in the last few chapters and the end goes in a direction you definitely weren't expecting. 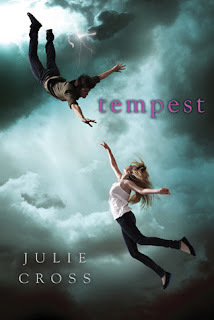 Check out this clip from the audiobook of "Tempest" by Julie Cross, from Macmillan Audio! Very snazzy review, as usual! This book sounds pretty awesome. I haven't read many books involving time travel, but the ones I have read were pretty good. I'll definitely be keeping this one on my wishlist! Great giveaway! I'm reeeaally looking forward to this. I can't wait to read it! I would travel to the past to get to know my Mom and see my brother again. Definitely the future. I'm one of those people that hate surprises so it would be nice to see what's in store for all of us. The future all the way. It makes me so mad, I'll never know what it's like. But, it'd be cool to see what stuff looked like in the past. Is it like in the movies ? I would go to the past, to change a couple of mistakes. I'm afraid of what might happen in the future...thanks for the amazing giveaway! I'd go into the future because I "time travel" to the past all the time by reading good historical fiction, but I'm really curious about what the future world will be like (which no one knows). 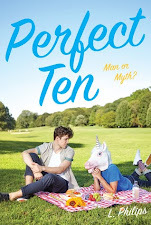 I'm reading this right now and loving it! Hope to win the audiobook! 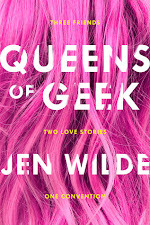 I love audiobooks and this is on my to read list so I'd love to win it. I'd go to the future! Oooh, I love audiobooks & this one sounds good! Whoops, the question! I would travel back to Biblical times -- to literally see & feel the excitement about Jesus, you know? Else, I'd go to high school and spend less time worrying about stuff and just enjoying it. I'd definitely go to the past. I'd like to see what ot was like to live in various time periods. I think I would prefer to go to the future because I hope I would be able to change the future when I return to the present. Tough choice! I'd probably go to the future. The Past. I'd love to experience the 20s! I would go to the future! I have already lived the past, I want to go somewhere I have never been before! Plus, who isn't curious about thier future? Man, that's a toughy. I'd have to say the past, because eventually, if it's not too far in the past, you'll get back to what was the present. And maybe you could do things a little better along the way. I would go to the past, although somewhere interesting, like the Renaissance.